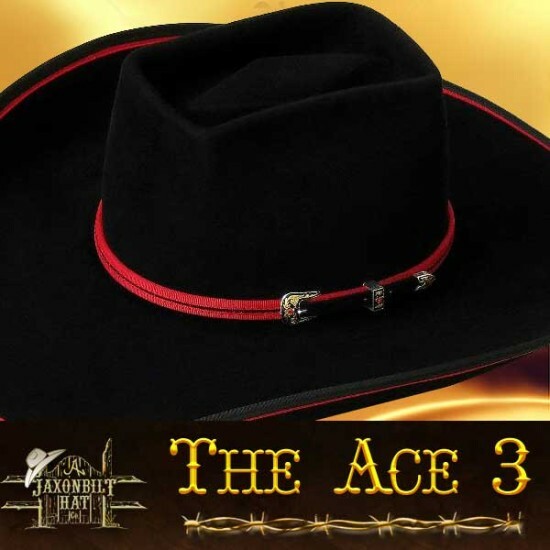 The Ace hat collection features the classic box top crown (aka moff top) and a striking double bound edge. Scroll down to view same hat style with alternative customization examples. 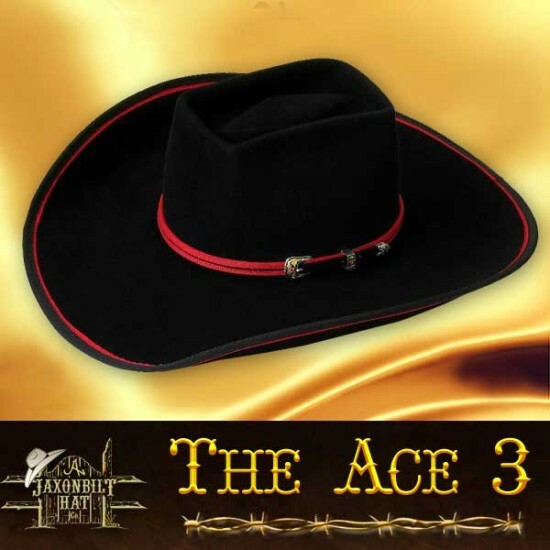 The Box Top Ace is a JAXONBILT classic. 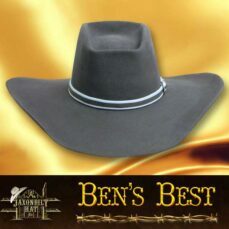 The brim is 4 1/2 inches wide trimmed with a double bound edge. 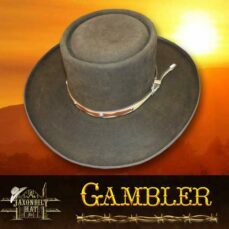 This one set off with a handsome gold color and a three piece Black Canyon buckle set. The Box Top crown crease is very popular and gives the hat it’s classic style. Of course, you can choose your own felt color and trim options. Order your free conformer kit today! ” The Ace.” 100X Black 5 inch Brim with double bound edge in Champagne and Black. Gold and Ruby 3 piece buckle set on self band. “Moff Top” Now here is a beauty with the Australian flair that gives JAXONBILT HAT CO. our international appeal. Double bound brim edge like our classic ACE. The crown in a more traditional Australian style. Soft curves gives this hat the appearance to keep the wearer looking like a million. This model has a 4 1/2″ brim, but you can order yours to fit your own specifications. Color, trim options, and felt qualtiy are yours to choose. Your JB hat is guaranteed. 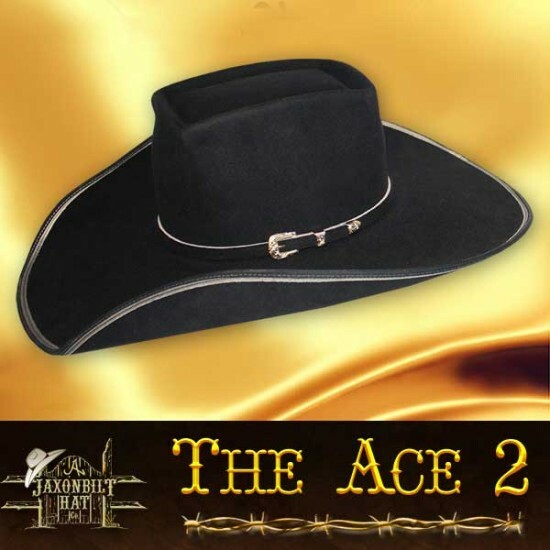 The Ace ‘The Diamond’. 5 inch Brim & 4 1/2 inch Crown. 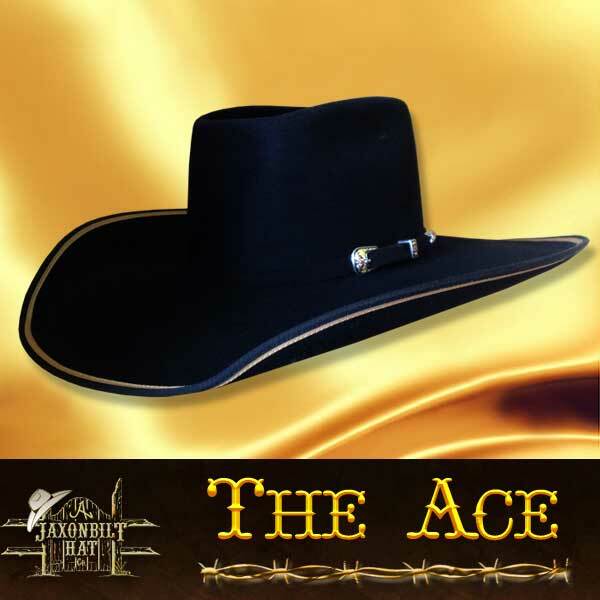 Pictured here is our Jaxonbilt ‘The Ace’ with a modifies band as per the customers request. Also note the Diamond shape in the very top of the crown from our ‘Texas Hold-em’ range. Three piece ‘Black Canyon’ buckle set. 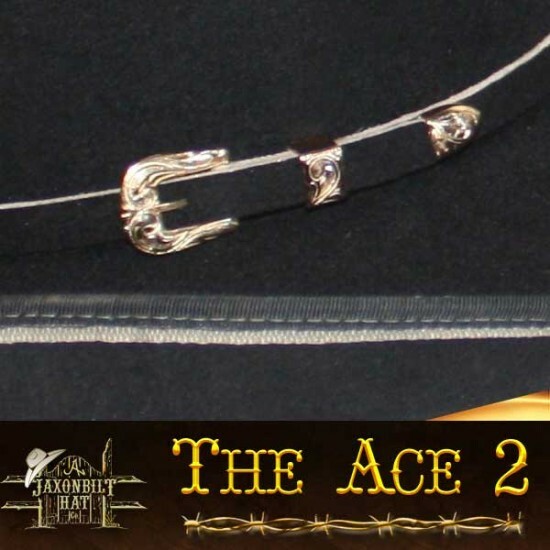 #4 Ace – Same great classic style as our traditional Ace. This version has the crown accented with a hand painted lazer design.